For many riders and racers that are competing in the growing sport of cyclocross this season, training and preparation probably started at the end of August and planning the race schedule begins as the events start showing up online. The season usually runs from September to December or so depending on the area of the country with both amateur or elite level events on the calendar. This year however, there will be two critically important World Cup level cyclocross races here in the USA and both of them are in the month of September. These races are the pinnacle of competition with the attention of the world focused on them and entry is dependent on a very high international ranking and the speed and intensity of the race will be above any level that most racers have ever experienced. For professional cyclocross racer Rebecca Fahringer of the Amy D Foundation team (The Amy D Foundation team is unique in its primary goal of helping to develop young women in both cyclocross and road racing) these races are one of the biggest goals of the 2016-2017 season and preparing for them has been a very long and important process both for her as the athlete and for me as her coach. After a breakout 2015 season that culminated with a strong 6th place at the U.S. Nationals in January, I knew that Rebecca had the potential to be amongst the best at these two World Cup races later this month. 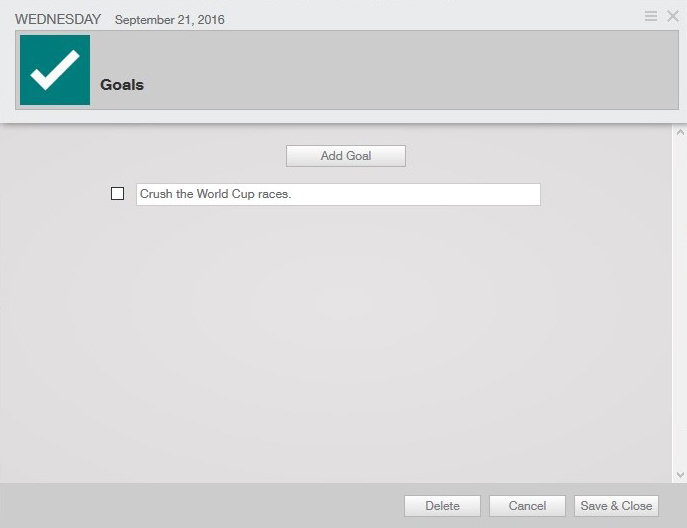 I worked with Rebecca and using TrainingPeaks determined her (and our) goals for the season and what was needed to perform at the World Cups as well as the tools she would need to do so. Those races are not developmental and are not easy rides in the park, the speeds are fast and the competition merciless. Most importantly however, we wanted to keep her healthy and motivated for a race that was at the time over six months in the future. We started with a long slow build of fitness and skills that included plenty of time off and vacations as well as solid training blocks and race specific power training to get her ready for what is needed to perform at the international level. We used the Performance Management Chart (PMC) to get a great visual of how that training was progressing. The nature of cyclocross means that unlike road racing or endurance based multi-sport training, our overall focus isn’t primarily on the rider’s Chronic Training Load (CTL) or “fitness”, although that is important, but also making sure that the athlete’s Acute Training Load (ATL) or ‘fatigue” is low and the rider is fresh enough to handle the high intensity and explosive power efforts of the races. You can see from the PMC above that we were able to build a healthy and safe fitness level while at the same time giving Rebecca the time and opportunity to take vacations with family and still arrive at the start of the season this past weekend fit and rested and most importantly: excited and motivated! During the season, we also asked Rebecca to jump in some longer difficult road races, mountain bike races and even criteriums to help keep her race day mindset laser sharp as well as test the progress of her training and preparation. It was an incredibly successful spring and summer so we know she was headed in the right direction the whole time. One of the tricky aspects of cyclocross, especially at the elite international level, is how the successful racers need to be dynamic and well-rounded as athletes, not just cyclists. 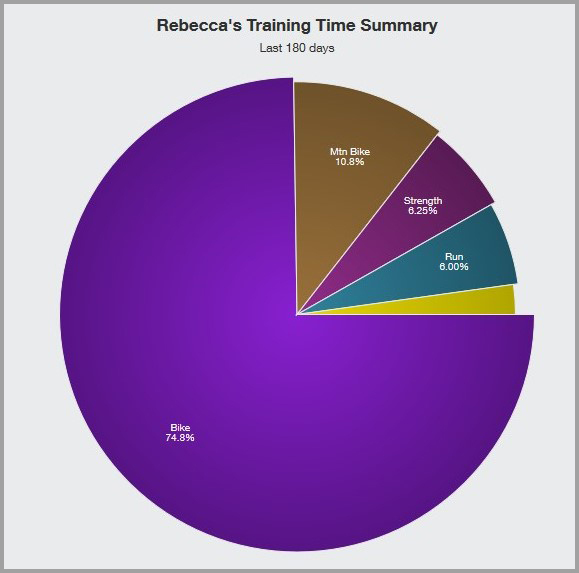 We determined Rebecca’s strengths and needs during the off season and created her long term training plan to include off the bike training with her normal workouts. Using the Fitness Summary chart on her TrainingPeaks Dashboard, we can easily see the breakout of completed work that she has done this summer including bike training, mountain biking for off road skills, strength and conditioning for raw power, running for the “cross” part of cyclocross and our super-secret other training. In addition to her regular fitness training, we used Rebecca’s Stages power meter to specifically dial in the exact bike power numbers needed to absolutely crush her competition on race day. Focusing on the power needs and energy systems specific to cyclocross, we tailored her training to create a very sharp Peak Power chart also found on her Dashboard. 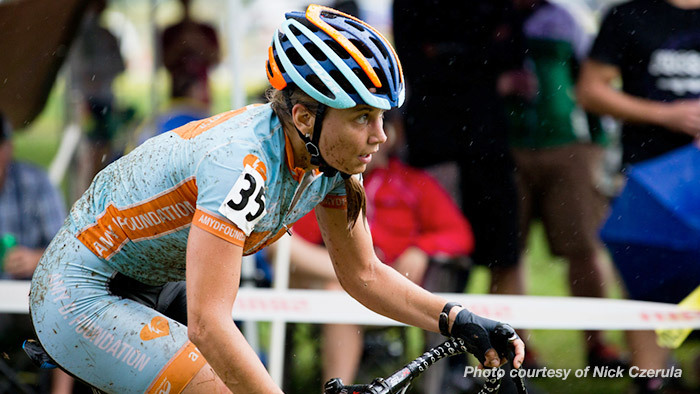 Rebecca started her season at the Rochester Cyclocross UCI C1/C2 on the weekend of September 10th and 11th was able to score a 5th place and 2nd place respectively. She was quoted in finish line interviews saying, “I was sort of able to fend everyone off. I put down the watts when I could.” It brings tears to a coach’s eye. Check back in a few weeks when we recap Rebecca’s races in Cross Vegas and Jingle Cross World Cups events.